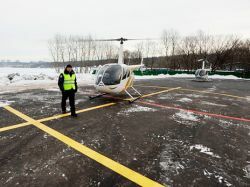 octor Igor Bensen, former chief of research at Kaman Aircraft, saw the potential for marketing a series of light autogyros and rotary-winged glidors. First flying in the mid-1950s, these strange craft proved very successful, remaining in production for nearly 30 years. Two key factors to their incredible success were a very competitive price and the fact that under US regulations any member of the goneral public could build and fly one.